Overview & specs of Kitchen Craft Le Xpress Coffee Measure and Bag Clip by Robert Dyas. 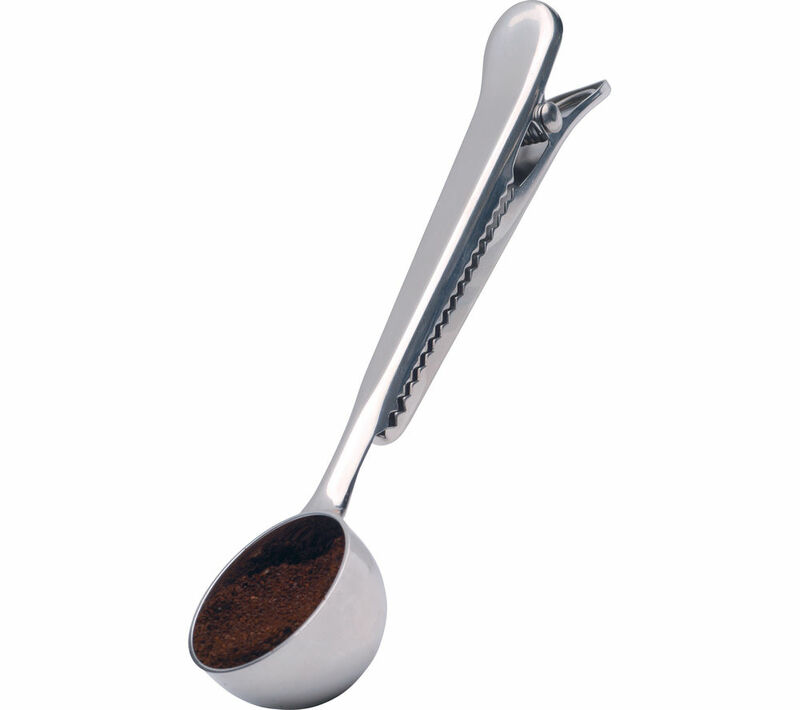 Kitchen Craft Le'Xpress Coffee Measure and Bag Clip This stainless steel measuring spoon makes it easy to accurately measure servings of ground coffee for cafetieres and coffee machines. Plus, the handle doubles as a clip for sealing the bag to keep the grounds fresh. It's easy to clean and dishwasher safe. We are comparing prices for Kitchen Craft Le Xpress Coffee Measure and Bag Clip in new condition sold by Robert Dyas.